Anne Roos plays harp on the 2015 GRAMMY® Award Winning Album, "Winds of Samsara" (Best New Age Album). Her recorded music airs internationally and is described as "beautiful music" by United Airline Inflight Music Service. 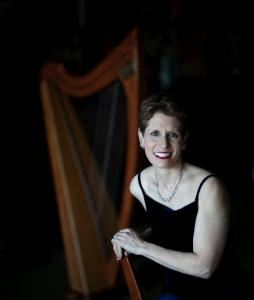 Anne Roos is considered a top harpist--she plays a wide variety of music styles. Select your favorite music for Anne to play, and she'll deliver with the professionalism that you expect.